Since marriage is a reflection of the relationship between Christ and the Church (Ephesians 5:32), couples who connect their love with God’s wisdom will be amazed with their lives! If you need any help with these resources, please let us know. A Love-Wise Weekend begins with the realization that marriage is primarily a matter of the heart. The big challenge in a lifelong relationship is keeping our hearts soft toward God and toward each other. Ultimately, this is the work of the Holy Spirit in the lives of willing partners. 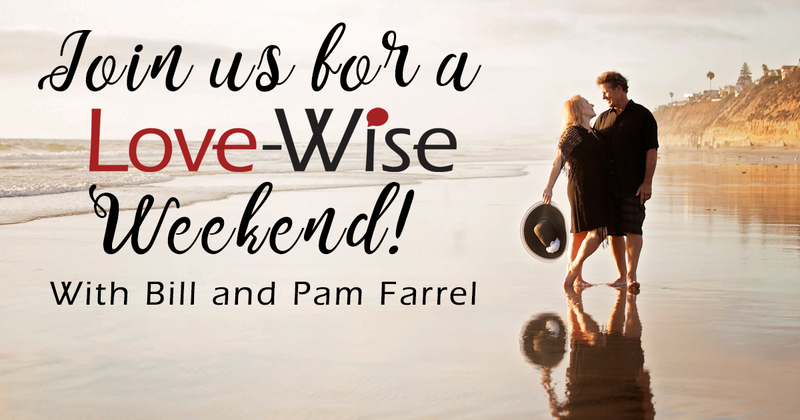 In a Love-Wise Weekend, Bill and Pam present 4 sets of skills couples can practice to keep their hearts in tune with God and each other. Communication is more intense in marriage than any other relationship because we expose every aspect of who we are to one another. Skills from work and friendship are not sufficient for the emotionally charged environment of marriage. Couples will be introduced to romantically strategic ways of listening, conveying non-verbal messages and choosing words that make love grow. Two of the keys to developing a lifelong connection in marriage are the convictions we hold in our hearts and the friendship that exists within the marriage. Couples who make unified decisions based on vital issues and have fun together talk about marriage as a great thing. The Bible says it is possible to be “transformed by the renewing of your mind,” (Romans 12:2) and this is especially true in marriage. What we think about our spouse sets the tone for the relationship – and we think about each other constantly. Couples will encounter skills that discipline their minds to think strategically about each other. The Bible says we are fearfully and wonderfully made in God’s image (Genesis 2:27; Psalm 139:14) and we are God’s workmanship (Ephesians 2:10). As a result, we all married someone who is talented in areas we probably aren’t. Couples will explore their strategic strengths and how they combine to make 2 better than one.